Every offseason leaves those of us following the NFL with a lot of questions. Where will impending free agents land and how will the NFL draft shake out, for example. For those of us who play fantasy football, the questions are the same, and can have an impact on how we approach players in the game we love to hate play. This offseason seems a bit different from a fantasy perspective as there are a ton of huge offensive names that will find new teams for one reason or another and some rookies who will have an impact as well. If you come to this site, chances are good that you're a Dallas Cowboys fan. 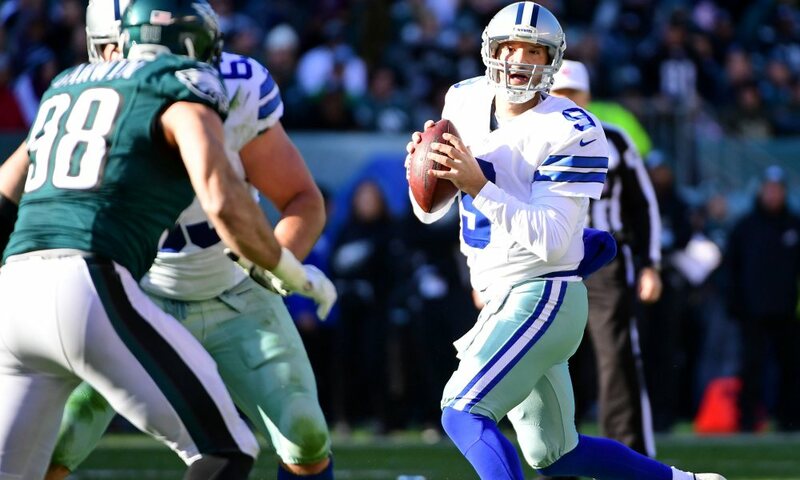 If so then you have heard the countless rumors about the future of quarterback Tony Romo. He's been rumored to have interest in several teams, and several teams are rumored to have interest in him. Add writer speculation into the mix and Romo could have a handful of teams lining up to sign the veteran quarterback. The place that seems to make the most sense -- if the team can make the money work -- is the Houston Texans. They are a team ready to compete for a Super Bowl title despite some of the worst quarterback play possible for a division winner. The Texans sport an elite defense and several play makers on offense. The Denver Broncos could also be a good spot, but with two very young quarterbacks there (though not making a ton of money), that seems less likely to me. 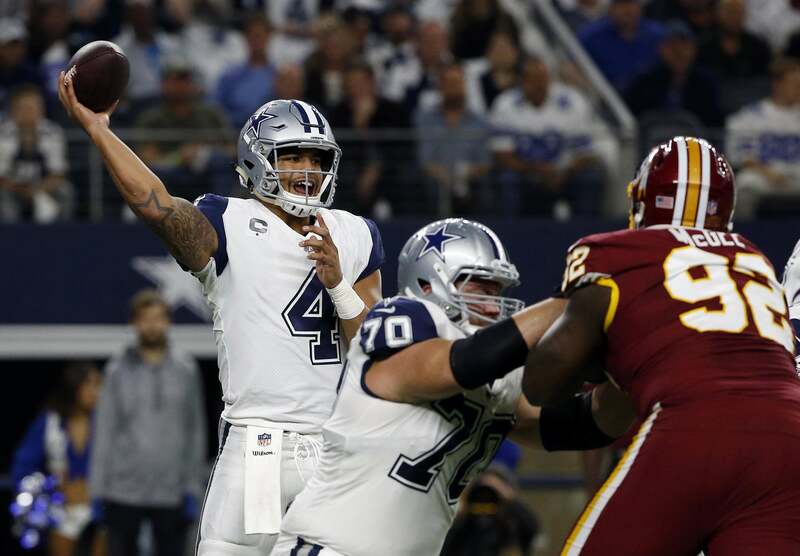 The only scenario that would make sense for Romo to Denver is on a short-term, stop-gap type of contract that affords Paxton Lynch a couple of years to learn and get further acclimated to the NFL game and learn from one of the league's best passers. If Romo ends up in either Houston or Denver, count me as someone who will be buying him and his teammates come fantasy draft time. There have now been several rumors linking a possible move for Jay Cutler to the New York Jets. It's no secret that the Jets were pretty bad at quarterback in 2016 and Cutler (though he's had his struggles) is still a very capable quarterback. The Jets have a pretty good corp. of offensive players from former teammate Matt Forte to Erik Decker and Bilal Powell, to young play makers Robby Anderson and Quincy Enunwa. Cutler isn't going to be confused for the best quarterback in the league, but his price tag should be one that fits until the Jets can find their long-term solution. In my opinion, Cutler would provide a tremendous boost to the draft stock of the New York Jets' fantasy football assets. There will be some less exciting names that move around as well. People like Ryan Fitzpatrick and Josh McCown will change teams, but their fantasy impact is yet to be determined. Some teams may see them as a stop-gap starter, while others will value their stability as a backup quarterback. There is no way of knowing if any of these quarterbacks will have a Dak Prescott-like impact on their team. Prescott's rise to the top of the quarterback depth chart reads like a Series of Unfortunate Events novel. 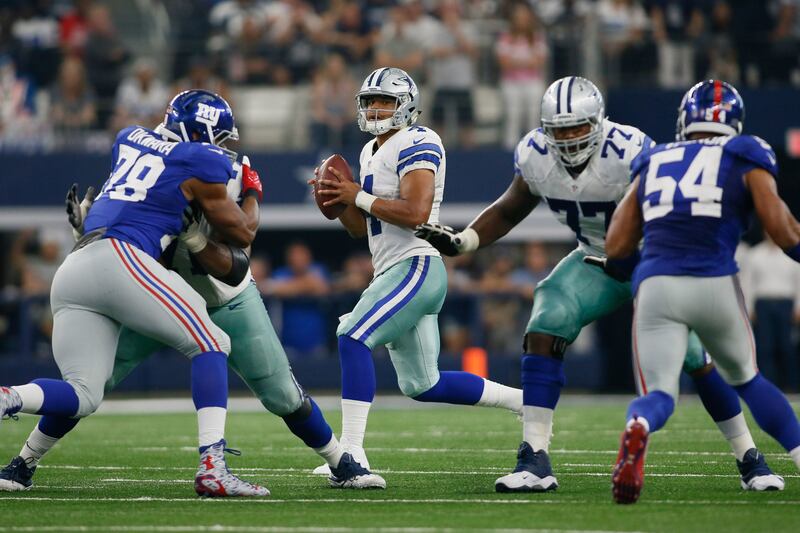 It's been covered everywhere that Prescott wasn't considered to be an option for 2016 until he proved that he was the best option for the team, and even then nobody expected he would do what he did. Every year, rookie quarterbacks get a lot of hype because of the draft status; in 2017, there may be as many as four first round quarterbacks taken. I've seen DeShone Kizer, Deshaun Watson, Mitch Trubisky, and Pat Mahomes taken in the first round of various mock drafts. The fifth year option for first round draft picks makes taking a quarterback in the first much more valuable. It's very early and slightly unfair to expect any of the 2017 rookie quarterbacks to have anywhere close to a Prescott kind of impact for their respective teams. Which teams will draft Dalvin Cook and Leonard Fournette? Where these two land could propel them into Fantasy stardom or limit their 2017 potential. We have seen in the past -- and in more recent history -- that rookie running backs, given the right situation, can have a major impact on the field during their first season. Barry Sanders, Mike Anderson, Marshall Faulk, Adrian Peterson, Doug Martin, Clinton Portis, Alfred Morris, Ezekiel Elliott, and Jordan Howard all had very good seasons in their rookie campaign. There is always a chance that they get drafted to a team that has an established veteran, much like Derrick Henry did in Tennessee or Paul Perkins in New York. However, it is also possible that they outplay the incumbent starter like Howard did in Chicago. Given the right circumstance, it's not unreasonable to expect the same thing from Dalvin Cook and Leonard Fournette. As you prepare for your Dynasty rookie drafts and redraft leagues, don't sleep on Alvin Kamara and Samaje Perine. Doesn't seem to be much buzz about them at the moment, but they are both very capable backs. What's next for Alshon Jeffrey and other free agent Wide Receivers? With the Chicago Bears opting not place the franchise tag on their star, yet oft injured wide receiver Alshon Jeffrey, the former 1,400-yard receiver will hit the open market for the first time in his career. 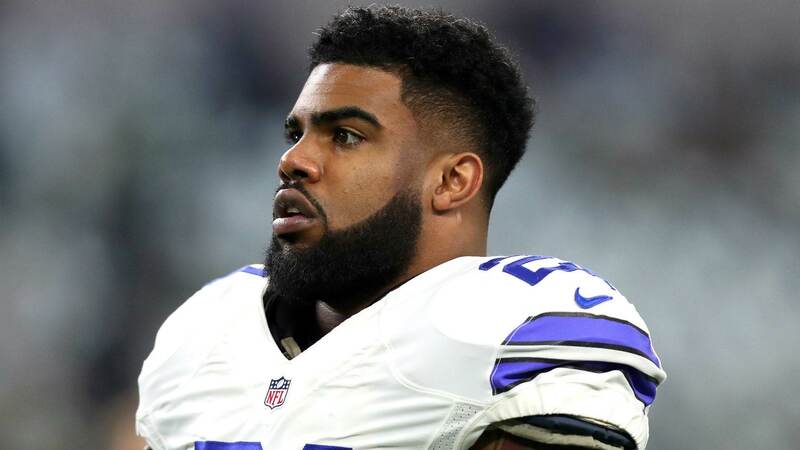 There will be plenty of suitors for his services; places like Detroit, San Francisco, New England, Los Angeles, and Washington could all be decent fits if the money is right. While Alshon Jeffrey is going to be the big-ticket item at wide receiver this offseason, there are several other players who will be highly sought after. The three that I'm most eager to see their landing spot are DeSean Jackson, Kenny Stills, and Kenny Britt. DeSean Jackson showed us in 2016 that he still has that elite and very rare ability to get behind the defense for home run plays. Kenny Stills is a younger, yet eerily similar version of Jackson, who became a red-zone favorite for Ryan Tannehill in 2016. Kenny Britt recorded the first 1,000-yard receiving season for a Rams wide receiver in more than a decade. Do these veteran running backs get a chance to start? It would seem that his time with the Minnesota Vikings is coming to an end. As reported on February 28, 2017, the Vikings have declined Adrian Peterson's 2017 contract option, which will make him a free agent. Someone will sign him to play in 2017, but the question will remain even through week one in the season... does he have anything left? Peterson missed almost all of last season after missing all of 2014. Age catches up to all players, but AD has staved it off longer than most, evidenced by leading the league in rushing in 2015. At the moment he's ranked in the early 20s according to Fantasy Pro's consensus ranking. I bet someone gives him a chance to have a considerable role (at least 50% of the running back workload). I'm inclined to avoid him as his price tag will most assuredly rise as we get closer to the season. Jamaal Charles, like Peterson, is an interesting case. Both have been main-stays in the first round of fantasy football drafts for years. But injuries and age finally seem to be catching up with the former Kansas City Chiefs star. Rumors are circulating that he has already gained some interest from the Philadelphia Eagles. If healthy, he can still be a capable running back in this league, but I doubt we will see much of the same dynamic play that made him a dual-threat nightmare for opposing defenses. Eddie Lacy: Reports are that Green Bay may want to bring back the former running back. For fantasy football purposes, Lacy will have more value by joining a team with less of a committee mentality. Latavius Murray: A big back who was never used quite right in Oakland (in my opinion), Murray will gain interest from a lot of teams because he does have three-down ability.